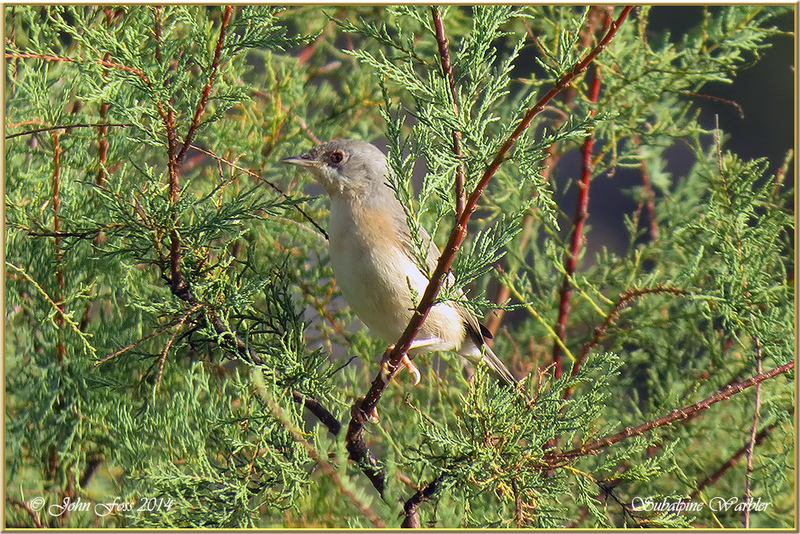 Subalpine Warbler - The adult male has a grey back and head, with brick-red underparts. It breeds in the southernmost areas of Europe and northwest Africa. 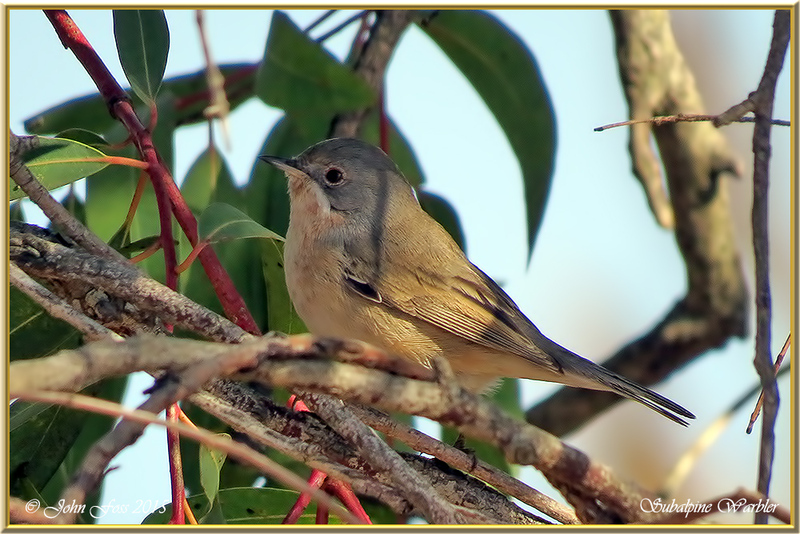 I came across these birds in the Algarve at Cabanas De Tavira alongside the river (Ribeira do Almagem) and Quinta Do Lago. I stood for a long time trying to get these images. 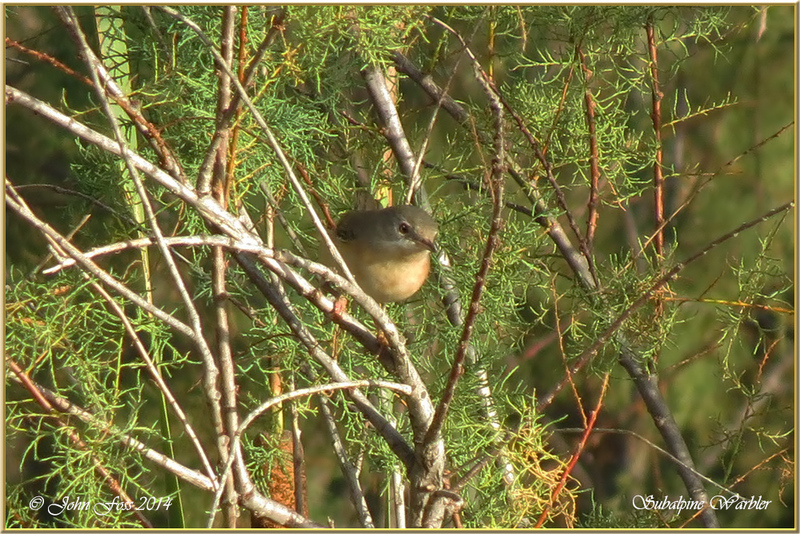 The birds were far off and flitting around in the trees not giving clear views at all. These were the best images from dozens of shots!